Agate is a stone with an affinity for balance. 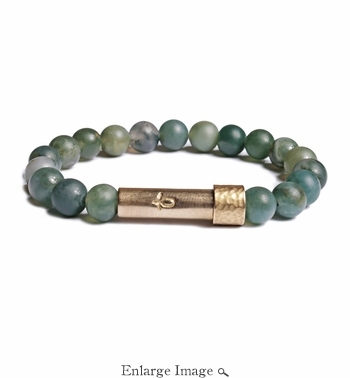 Its greatest strength is harmonizing and agate can reintroduce equilibrium to a restless wearer. The stone provides a constant, gentle feeling of support that can steady one who is feeling shaky in their path. Wear the stone to achieve peace and balance in all aspects of life.